Do you love to entertain or cook here in Miami? Then you best get a kitchen that’s organized and designed to your tastes to truly enjoy it. The designers from California Closets provided several useful tips on how to stay organized in the heart of the home – the kitchen – here in Miami, Oakland Park, Margate, Tamarac, Lauderhill, Sunrise, Davie, Hollywood Florida, Coral Springs or Delray Beach. 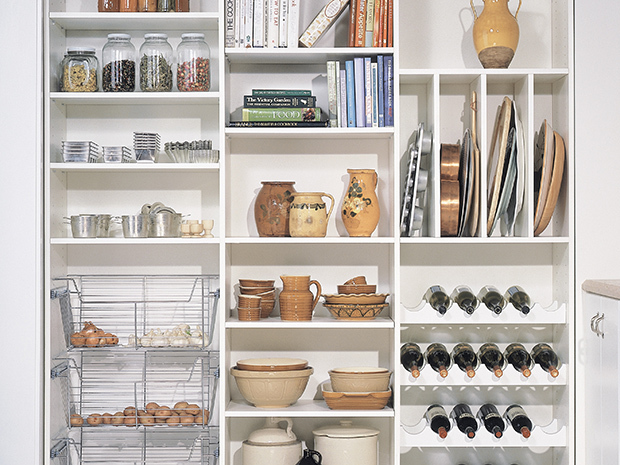 A pantry requires organization achieved through excellent functional design. Shelving, drawers, and baskets combine to accommodate specific needs and uses, ensuring accessibility and order in a space where items are continually removed and replaced. Sliding storage shelves allow for easy access to canned goods, while vertical shelf dividers organize everything beautifully. Pullout racks for linens and vertical shelf dividers for mops, brooms, and cleaning supplies organize often-used items. Organization lies in the details. Adding in accessories makes it easy to find everything in your kitchen. Pantry Drawer Inserts and Accessories – Food prep and storage become a breeze with drawer dividers for snacks, tea and cooking utensils. Pantry Baskets – Pullout baskets give you easy access to anything from root vegetables to linens. Wine & Stemware Storage – Integrated wine and stemware storage can create the perfect home for any collection. A wine bar is a fun way to entertain and elevate your weeknights. 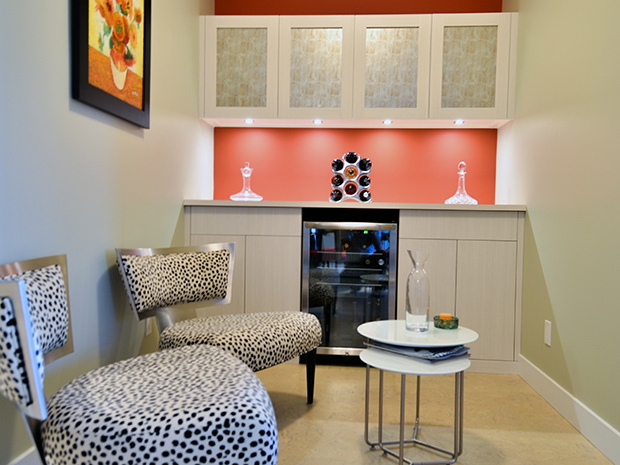 A custom-designed wine bar creates a perfect space for storing your collection and fits your entertaining needs when hosting guests. Door and drawer faces, countertops, and lighting sets the mood for a space anchored in enjoyment. Storage for wine bottles allows for easy viewing and access. Counter space provides a place for pouring and serving wine. Lighting in a wine bar enhances functionality and dramatically changes the aesthetic of a simple design. Options include LED, puck, and ribbon lights with multiple switching choices. Shelves and cabinetry can be designed to accommodate an integrated wine refrigerator. Racks and accessories display beautiful glassware and stemware. Doors elegantly conceal liquor bottles and supplies you’d like to keep hidden. 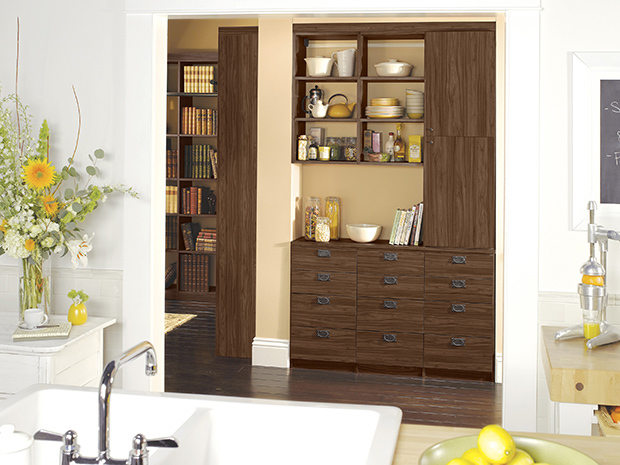 Get started today on your dream kitchen by contacting the California Closets Miami team. You’ll receive a complimentary in-home expert design consultation, or you can visit the Miami showroom to see for yourself. Featured on Houzz, California Closets has been in the storage and organization design industry for nearly four decades, transforming homes across the country.